Eminent developer Julioverne has released an alternative to Cydia Extender Installer called Ext3nder. This new utility automatically installs Saurik’s Cydia Extender application along with Julioverne’s Extendlife tweak. Let’s find out how it works. Update (May 31) – A new alternative to this tweak is Extender: Reloaded. You can download it here. Update (May 25) – The latest version is 0.9.41_009c. It doesn’t keep running in the background anymore. You can also make the background translucent in this version. Update (March 19) – The latest version 0.9.41_008b works with Coolstar’s Stashing enabled. If it was crashing on your device earlier, use the latest version. Update (March 19) – The latest version is Ext3nder 0.9.41_008. It includes the auto-sign feature. Which devices does Ext3nder support? Why is Ext3nder better than Cydia Extender? It is just a repackaged version of Saurik’s Cydia Extender utility. It has been modded heavily by Julioverne. Ext3nder now comes bundled with Extendlife. 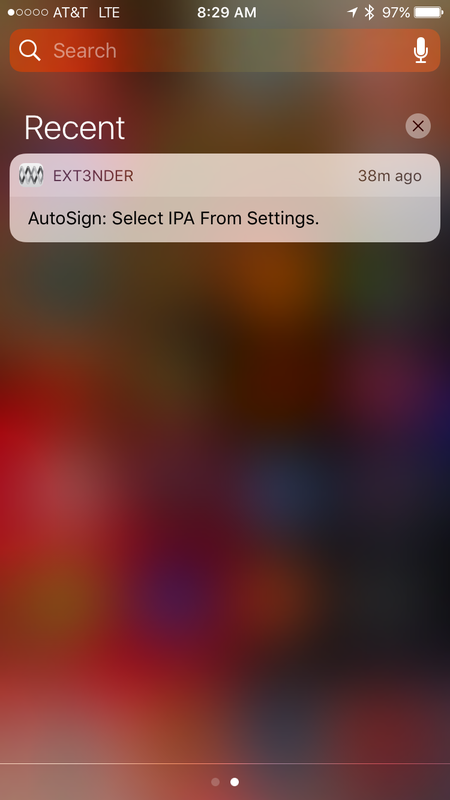 The main feature of this application is automatic IPA signing. It is compatible with the following devices. With Ext3nder, you don’t need to sign Yalu jailbreak (yalu102/mach_portal) manually every 7 days. You just need to select the IPA file you need to resign from the Settings. It will handle the rest for you. However, it has one shortcoming. Since it’s a debian package installed in jailbroken state, it will not work if your device is not jailbroken. There are so many tools you can use to resign Yalu jailbreak. So if you are confused as to which method you should use, here are your options. If Cydia Impactor is working fine on your computer, keep using it. If you would like to sign IPAs on-device, install Ext3nder. If Cydia Impactor is not working for you, use Cydia Extender Installer or Ext3nder. If Cydia Extender is working fine on your device, keep using it or delete it and install Ext3nder. If Cydia Extender is not working for you, use Ext3nder. Now onto the installation tutorial. 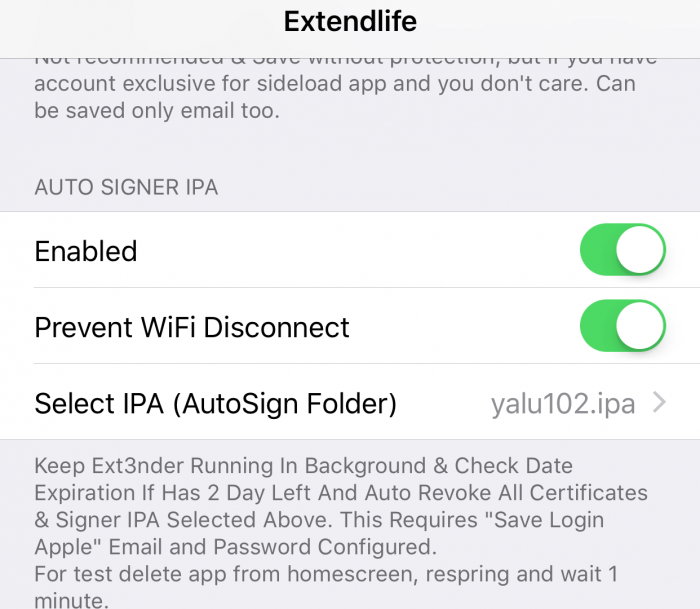 Step 1 Remove Cydia Extender and ExtendLife if you have installed it already. Doing so will remove the VPN (Virtual Private Network) that Cydia Extender added. Ext3nder utility doesn’t make use of a VPN. Step 2 Install the latest version of AppSync from Karen’s Pineapple repo. Read this step by step guide on how to install AppSync Unified for iOS 10. Do this only if you haven’t installed it. If you have AppSync installed already, go to the next step. Step 5 Go to Manage > Sources. Step 6 Select Edit at the top right > Add. Step 8 Install Ext3nder tool. It should be successfully installed now. The best thing is that it doesn’t require any other tweak to work. Step 9 Reboot your iOS device. Since a lot of users were not able to get it to sign properly, here’s the complete signing tutorial. The installation part is over. Now you need to setup this tool properly. Step 1 Open Ext3nder application from your home screen. Step 2 Go to “More” section. First of all, add your device in the “Add Device” option. This must be done if you are using this utility for the first time. Step 3 Now you need to change your Team ID as it is spoofed by default. Otherwise, it will throw a lot of errors. Step 4 Select the “I Don’t Know (via Login Apple)” option. Step 5 Login with your Apple ID details and restart ext3nder. Now, that we have set it up properly, we move onto the actual certificate signing part. Step 1 Enter your details in “SAVE LOGIN APPLE” section. If you don’t want to use your primary Apple ID, you can create a new one and use that here. Also, enable the “Save Signed IPA” and “Show User Applications” options. Step 3 Select “IPA From Folder AutoSign” and download yalu102/mach_portal IPA from here. Step 4 Open it using Filza file manager and move yalu102/mach_portal IPA to this folder – Documents/Ext3nder/AutoSign. You’re all set now. Ext3nder will now automatically sign Yalu 2 days before 7-day expiration (every 5th day). Remember, the auto-sign feature requires this tool to be running at all times. This can cause battery drain. If you are not comfortable with this, you can manually renew the jailbreak certificate yourself. Just follow the tutorial below. Step 2 Go to Installed tab. Step 3 Select yalu102 or mach_portal. Step 4 Select Resign option. Step 5 Login by providing your Apple ID details. Step 6 Select Attempt and let it do its thing. Step 7 It will notify you that the certificate was renewed successfully. This is the closest you can get to an untethered jailbreak on iOS 10 right now. This tool is absolutely foolproof and never makes your device bootloop. If this tool doesn’t work for you, you can always use other tools given above. If you are facing any errors, be sure to leave a comment below. I will be happy to help. Stay tuned and don’t forget to give us a like on Facebook and Twitter. There is only extendlife…did its name got changed ?? if impactor works, do you need extender? Hello, there. No, if it’s working fine and you have access to a computer, there’s no need to install this app. 1. No, you can resign it anytime. 2. 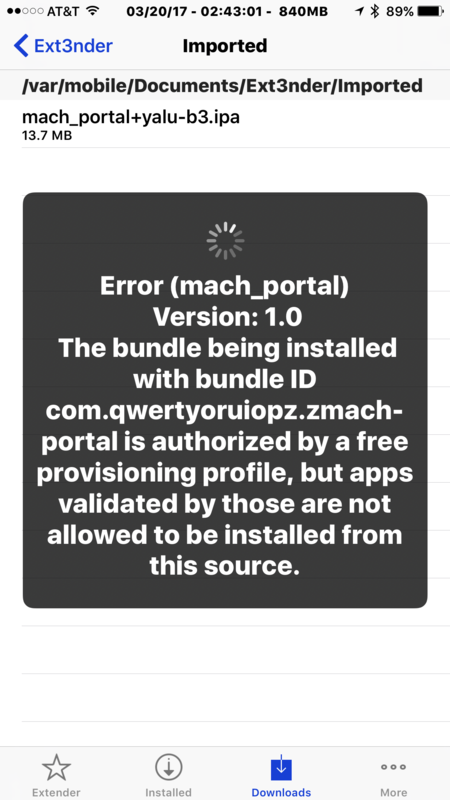 You must revoke your certificates in Cydia Impactor or via Filza to fix this error. That’s great. Glad you got it working. Yeah, I’m a idiot. Did more research and discovered my mistake. Thank you. One more thing. When I go to the Installed tab, Ext3nder immediately crashes. And idea what is causing that? Try rebooting and then try again. (Rether than downloading a new ipa file) is it possible to go in INSTALLED section the press on Backup To Documents the go to DOWNLOADS section and press on COPY To Auto Signe Folder ??? Hello, jhon. Yes, you can do that as well. Just make sure the IPA file you want to sign is present at the appropriate location as given above. The entire procedure is given above. Try that and report back. it says: Now you need to change your Team ID as it is spoofed by default. Otherwise, it will throw a lot of errors << i didn't get this step, or just skip and press (i don't know) botton ? Yes, you need to press the “i don’t know (via Login Apple)” button. 1. Should I be able to use an ID for multiple of times? Creating Apple ID is limited on the device and I can’t afford it in the long run. 2. Can I use this Ext3nder tool for Home Depot method of jailbreaking? 1. Yes, you can use the same Apple ID to sign after 7 days. What error are you getting while using Cydia Impactor? 2. This tool works only for iOS 10. Since you are on iOS 10, it won’t work for you. 1. It said I need to have a developer account, which my account does not have. Tried googling and people said try to revoke, tried it but the issue persists. That’s why I have to create a new Apple ID. 2. Aw that’s too bad. So no workaround to avoid having to resign if we turned off the device after 7 days? 1. Is it working fine with the new ID? 2. Yes. As of yet, there’s no tool for iOS 9 that does that. Well yes, it is working fine now with the new ID. But I am afraid this is not a permanent solution if I have to create a new Apple ID everytime my device turned off. Try the same ID next time and report back how it goes. Every time Ext3nder tries to re sign it says BundleID invalid on my iPhone 6. My iPad Air 2 I re signing without any problems and all the settings for both devices are exactly the same. Any idea ? Hello, Marc. Have you enabled the Auto sign option? Try revoking the certs manually with Filza. Also, try using another ID. iCleaner is the only way to do that. 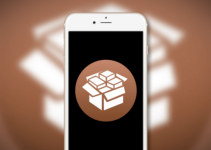 If that’s not working for you, you can try using Cydia Extender Installer – https://yalujailbreak.net/cydia-extender-installer/. Just don’t use the plus version and you’ll be all set. It jailbreaks with Yalu on-device. Hello Tyler, have you tried changing your Team ID? Hi I have jailbroken my iphone 7plus v10.1.1 with mach_portal+yalu-b3 via cydia impactor it was success 100%,And got cydia but when I open cydia and install some app/tweak. . . .it’s not work everything is like not jailbreak.please help me. I am getting the error: Error Get Account Info when trying to add device. If I already see a device there, do I need to do it anyway even if it’s the first time I’m using this ? I already used impactor manually, may it have something to do ? provision.cpp:81 ios/addAppld =9401 An App ID with Identifier ‘kim.cracksby.yalu102’ not available. Please enter a different string. That’s great, Micheal. Glad you got it working. Do you happen to know any tweak which would send you a notification before the certification expires to resign yalu manually? The battery drain for auto-sign is very noticeable for me. Hello, Michael. No such tweak exists for now but you can use CertRemainTime/YaluTime/CertTime tweak to check the days left on your cert. It crashes upon opening. I think its because of stashing any workaround? Oh yeah updated and working now! When every time I clicked revoke, it’ll show Extendlife Error get Account Info. Hello, Jacob. It’s not able to get your account details properly. Try using another account or retry after some time. You could try that. Yes, Impactor is not working properly on Windows for now. Wait Saurik to release an updated version. 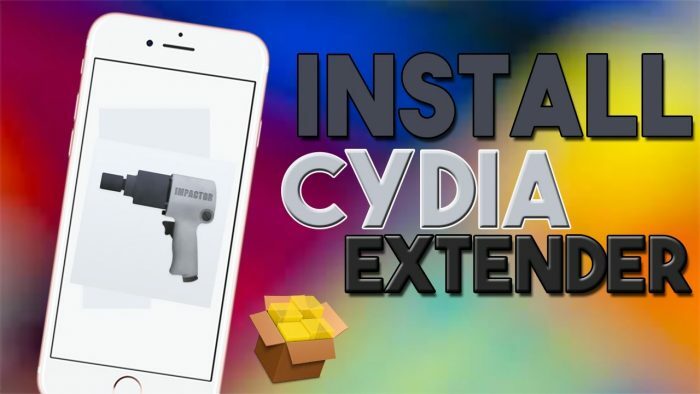 You can also try Cydia Extender Installer if this tool is not working for you. It does the exact same thing without the autosign. I was used to use Extender Installer. But I think ur tweak works better. Not to mention Ext3nder can save the ipa file. Also tks for ur effort! No problem. If you face any error, just comment here. I will be happy to help. I’m getting the same error, did you find a fix? You can always disable the autosign and sign it manually before it expires. Hope this helps. I suggest disabling the auto-sign feature altogether. Just renew the certificate manually. Hello, Halil. Have you changed your Team ID? No I don’t. I’m using Ext3nder. I have to open Terminal and type cyextender *team id*, after that it works. But why is that needed? I think you are using Installer. You need terminal to install it. 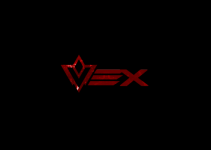 Please change your Team ID as shown above. It will fix the issue. The link is given above for the Team ID tutorial so follow that. Report back after you do that. Good luck. I know my Team ID, where should I change it? Change it in ext3nder as given above. I keep getting notifications from ext3nder?? Why?? Hello, Richard. What notifications are you getting? Please send me a screenshot, if possible. Have you set the autosign function correctly? No I hadn’t but I have now ( put the Yalu102.ipa in the auto sign documents folder now I’m not getting notifications anymore. One question though, when I put the Yalu ipa in the auto sign folder do I need to do anything else? I see options for dig or install ? No, you don’t need to do anything else. It will auto-sign every 5 days. Questo risolverà il vostro problema. ciò errore viene quindi visualizzato? ciao luca ho modificato l’id ma in extender mi rimane sempre differente..altri consigli? Non è una cartella, si tratta di un file nella cartella di yalu102. ciao, Riccardo. è necessario modificare l’ID TEAM. 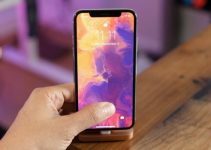 Login con il tuo ID Apple nelle Impostazioni e sarà cambiata. benvenuto amico. Mi sono occupato di aggiornare il tutorial. Scusa per il ritardo della risposta. Autosign: BundleID invalid …. is this known issue? Retry after some time. It will definitely work. Hello, Captain. Try using a different Apple ID and remove the certificates manually via Filza. Thanks Luca. I created new Apple ID but I don’t know what is the path for old certificates? Do you mind to let me know, so I can delete them? Thank you very much. Look for CPP 71 error section. The path is given there. Thanks again. Followed instruction, removed certificate. Now I’m getting provision.cpp:81 ios/addAppld =9401 An App ID with Identifier ‘kim.cracksby.yalu102’ not available. Please enter a different string. So, just to clarify. iPhone is jailbroken, cydia is working, didn’t reboot the phone but 7 day certificate expired. Do I have to actually reboot the iphone? Thank you, Luca. Just wait a minute. I am updating the tutorial. Please retry after a while and then report back. How to fix this error? Thanks. Ciao, Napo. Non c’è bisogno di cancellare il certificato di Yalu. Hai solo bisogno di aprire ext3nder e rinnovare il suo certificato. Si farà tutto automaticamente. Sì, questo è esattamente ciò che devi fare. Non esitate a chiedere tutte le domande che vuoi, Napo. ho aggiunto yalu alla cartella autosign, o messo il login apple, abilitato autosign. La voce “set team id” non la devo toccare giusto? Sì, non c’è bisogno di toccarlo. 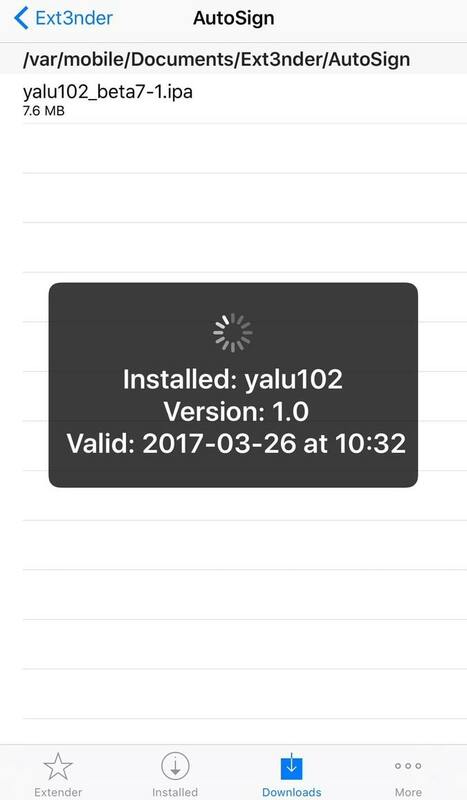 Assicurati di controllare il tempo restante sul certificato di Yalu con CertRemainTime Tweak. Scade il 25. Poi cosa devo fare? non c’è bisogno di fare nulla. Si rinnoverà automaticamente il certificato. Ciao luca. Allora, stamane mi son trovato una bella sfilza di notifiche da Ext3nder. Una diceva che il certificato era stato revocato e le altre con Apple account autenticated oltre ad una mail da Apple che il mio certificato era stato revocato. Ora yalu mi da che deve essere verificata è da impostazioni non riesco a verificarla. Che devo fare? Ciao, Napo. Hai impostato correttamente il AutoSign? Prova sideloading Yalu con urto di nuovo con un altro account. Domanda stupida: devo mettere La password spedita da Apple come sviluppatore o quella del mio account normale? you must enter the password/details of only the new account. allora! fatto tutto. recuperato il teamid e ho dovuto usare il mio account principale perchè apple non me ne ha lasciato creare uno fittizio….domanda: la firma si puo fare esclusivamente prima dello scadere del certificato o si puo fare tranquillamente anche dopo lo scadere della settimana senza fare la procedura di revoca? Ciao, Napo. Si consiglia di firmare manualmente prima della scadenza del periodo di 7 giorni. 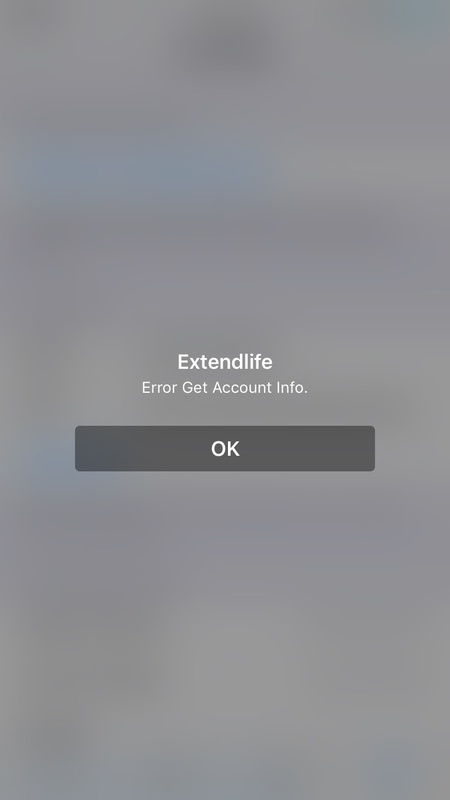 I have installed Cydia Extender + ExtendLife: if I want to install Ext3nder, what should I do? It is sufficient to delete only the Cydia Extender IPA or Should I delete also the packet from Cydia ? hello, Riccardo. Remove the package and then install the new version. Quindi disinstallo “Cydia Extender Installer” da Cydia e poi elimino l’IPA di “Cydia Extender” e posso procedere con l’installazione di Ext3nder, giusto? Scusa, voglio solo essere sicuro di non fare danni. Sì, disinstallare tale installazione anziana ed eliminare l’IPA. Quindi installare questo nuovo software. E per favore, non esitate a fare domande qui. In bocca al lupo. You should delete both package. This should have been said in the tutorial. Others steps are missing like you need to enter your Apple ID and password in order for the tool to automatically resign. In my case I also had to reenter my Team ID since the wrong one was showing. And I didn’t have to remove the VPN profile as deleting the Extender IPA did it for me. If you did installed Extender before Appsync is already installed and there is no need to delete it and reinstall it. Once the installation is done, you will be force to respring. Make sure to reboot after that and rejailbreak. Then could use Ext3nder to resign your Yalu ipa. after that the app will resign it automatically 2 days before the expiration. This means that Ext3nder runs in background. I hope there is no battery drain because of this. Why after signning yalu with ext3nder, it dont appear on certificates? Hey, Andre. Can you please send me a screenshot? That’s weird. if CertRemainTime is showing that, you should be fine. Check again with YaluTime just to be sure. It shows the same thing. Should I reboot to know if it opens on non-jailbreakmode? Reboot only if Cydia Impactor is working for you and you can re-jb. This tool won’t work in non-jb state though. How do I launch Cydia to download all these things if my certificate is already expired? What’s the best way to renew once I’m past the 7 days? I have Ext3nder on my phone but none of the other things. Any ideas? Hey, Boosk. You need to tell me a few things first – your device and your firmware. Please explain which “other things” you are referring to here. Ahh right, sorry! I have an iPhone 6, 10.0.2. The “other things” was I guess only appsync. I mean the phone works fine, but the jailbreak certificate ran out and the newest version of Impactor just says something about extender, which doesn’t work unless I have a developer account. It looks like the only way to extend the certicate is if the certificate is still valid…. Alright, I got you. This tool works in jailbreak mode only. When you reboot, your device doesn’t stay in that state. I will then guide you from there. Send me a screenshot, if possible. Ahhhhhhhh I didn’t know the process to re-jailbreak was any different than the process to jailbreak. I didn’t do the “delete all the random crap” step, so I guess it thought I was still signed or something. Ok, I got it I think!! I went back to follow your guide and downloaded appsync, and now Ext3nder seems to be working just fine. Thanks! That’s great! Glad you got it working. thanks a lot, Boosk. This means a lot to me. Please try again after some time. This will fix the signing error. On a 5s running 10.2 with expired Yalu cert. i am in a jailbroke state. Installed appsync u and Ext3nder. Ran autosign. Getting “Autosign: BundleId invalid” message. Could be I missed a step? Hey Lyonel. Please retry the process again. It will work now. Thanks. I messed up and upgraded to 10.2.1. I have 10.2 blobs saved but only have a windows machine. Not finding a way to downgrade without mac. You will need to run a Mac VM for the downgrade. And this is how we learn. LOL! Thanks again I’ll keep you posted. No problem. Just one question – did you set nonce in NVRAM? I think I did but can’t remember for sure. Tried to do mac vm. Got a binary error. I have an amd processor and discovered VMware won’t work on amd? Yes, it will not work on AMD.